Gluten-free dough is rolled out and filled with your favorite pizza toppings. 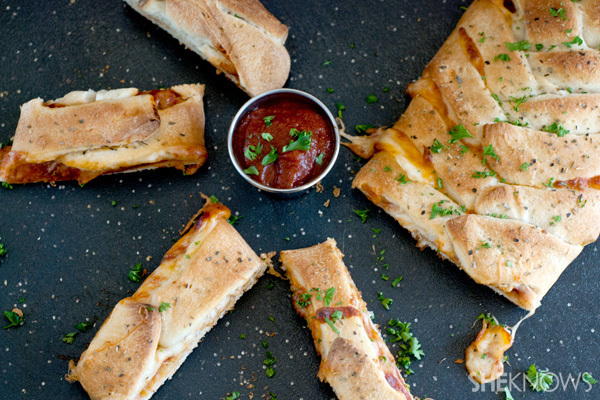 Rolled up and baked, this easy stromboli recipe is perfect for those with gluten sensitivities. Everyone loves pizza but instead of making a gluten-free pizza we made a stromboli. 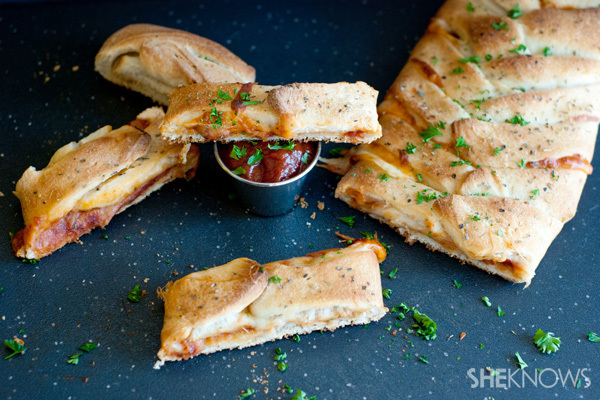 Stromboli is basically a big pizza roll with all the ingredients hiding inside. These are super easy to prepare and you can create any combination you desire. You can even make these dairy free by using Daiya vegan cheese or any other dairy-free type cheese. Let the kids help you prepare this fun dinner idea. Prepare the pizza mix as directed on the back of the package. Once your dough is made, place it in an oiled bowl and let it rest for 20 minutes. After the dough has rested for 20 minutes, turn it out onto a lightly floured surface. Roll the dough out into a large rectangle and, with a knife, carefully make several cuts down the sides of dough, still leaving the center intact. Spoon the pizza sauce down the center (lengthwise). Top with mozzarella cheese and begin to fold in each piece of dough as if braiding it. Place on the baking sheet and bake for 15-20 minutes or until golden brown. Remove from the oven and slice. Best served warm with extra pizza sauce.